Former Putin Aide Died Of 'Blunt Force Injuries' In D.C., Medical Report Says : The Two-Way Mikhail Lesin was found dead in a hotel in November. A new report calls the manner of death "undetermined." In response, Russia says it wants answers from Washington. Mikhail Lesin, a former Russian press minister and adviser to President Vladimir Putin, was found dead in November. A new report contradicts earlier reports in Russian media that he died from a heart attack. A former Russian press minister and aide to President Vladimir Putin who was found dead in a Washington, D.C., hotel last November died from blunt force injuries, according to a report from the chief medical examiner's office. 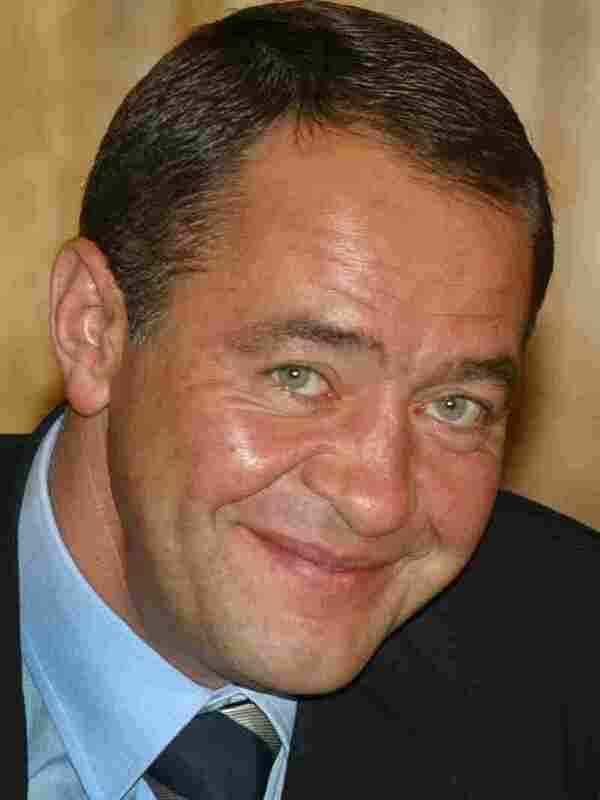 It's the first time an official cause of death for Mikhail Lesin has been announced in the case. When Lesin died four months ago, Russian media outlets reported that the cause was a heart attack, citing family members. The Office of the Chief Medical Examiner in Washington says Lesin died as a result of blunt force injuries to his head, with other contributing causes listed as blunt force injuries to his "neck, torso, upper extremities and lower extremities." Under the entry for manner of death, the medical examiner wrote, "Undetermined." The autopsy was conducted and completed within 24 hours after Lesin's body arrived at the lab in November, NPR's Mary Louise Kelly reports. But she says that the autopsy report, in which a medical examiner interprets the results of the autopsy, was only just completed. "We adhere to the national standard of completing 90 percent of autopsy reports within 90 days," LaShon Beamon, of the Office of the Chief Medical Examiner in Washington, told NPR. "But there are outliers. And this was one fell out of that range." In response to the medical examiner's report, Russian officials said they have repeatedly sought information about the investigation into Lesin's death at a hotel in Washington's Dupont Circle neighborhood on Nov. 5. "But the US side has not provided us with any substantive information," Russia's Foreign Ministry official spokeswoman Maria Zakharova said in a statement. "We are waiting for clarification from Washington and the relevant official details on the progress of the investigation." Police in Washington say they have an active investigation into the death of Lesin, an influential media executive who until early 2015 ran Russia's largest media holding, Gazprom-Media. He worked under Putin for roughly 10 years, from 1999 to 2009, first as a press minister and then as an adviser. Russia Today, the English-language TV and online media outlet, has repeatedly cited Lesin as the man who came up with the idea of establishing the state-run network. Lesin's death also brought out memories of his long career in Russia, with Sputnik News highlighting his allegiance to former President Boris Yeltsin — and his rumored role in creating a secret video recording that created a storm of scandal around a prosecutor who was investigating Yeltsin's family over allegations of corruption. When Yeltsin left office, Lesin stayed; he is seen as the man responsible for placing several large TV and other media outlets, such as NTV, under Putin's central control in 2000. The death of Lesin prompted many conspiracy theories, which variously implicate Putin, the CIA and, in some corners, Mossad. Early efforts in Russia to describe the cause of death as a heart attack added to the suspicions — and so did reports that Lesin might somehow have been compromised by money-laundering allegations raised by a U.S. senator who claimed Lesin had "bought homes worth a total of $28 [million] in Los Angeles and moved his immediate family there," as The Financial Times reported. "D.C. police said only that a body was found before noon on an upper floor of a hotel in the 1500 block of New Hampshire Avenue in Northwest. "A police spokesman said Friday night that authorities have not yet publicly identified the man and that a cause of death had not yet been determined. Russian state media said Lesin died of a heart attack. He was 57 or 58, according to different Russian new agencies. "District police said on Thursday that detectives who investigate apparent natural deaths were handling the case. "It was unclear what Lesin was doing in Washington."